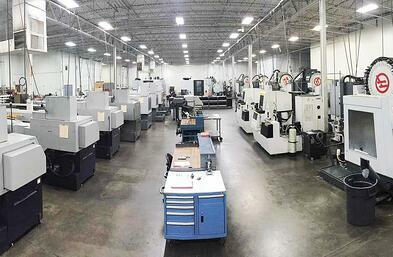 In today’s marketplace, there are many options for customers in search of a machine shop. With so many supplier listings available online and across social media, making a final decision can seem daunting. Clients need a trusted method to find a reliable, efficient partner that offers guaranteed quality and cost-effective service. Picking an ISO 9000-certified supplier is a smart first step. The International Organization for Standardization (ISO) is a private, international organization with members from 163 different countries. Founded in 1946, ISO maintains over 21,000 international standards in sectors ranging from food safety to heavy industrial applications. ISO 9000 is a quality management system that ensures suppliers meet strict quality standards at every step of the manufacturing process. Modeled after standards for the U.S. military, ISO 9001 certification is conducted by independent bodies, confirming that companies operate efficiently and effectively while providing safe, cost-effective, and waste-reducing services. Only the most trustworthy suppliers earn International Traffic in Arms Regulations (ITAR) registration. The U.S. State Department issues ITAR, which covers all defense industry manufacturers and exporters, to ensure that exported military technology does not fall into dangerous hands. Companies achieve the ITAR designation by registering with the Directorate of Defense Trade Controls (DDTC). ITAR covers a range of industries, including aerospace, munitions, missiles, tanks, and high explosives. ITAR registration not only guarantees top quality military components, but also confirms that the U.S. government authorizes the company to export these items to all authorized recipients. Previous Projects — Suppliers should maintain a gallery of completed projects illustrating its machining skills, including details and photographs that document the individual designs of finished components. ermined by the client. A good machine shop provides customer evaluations that support the skill and quality of its work. Industry Knowledge — A supplier of outstanding quality will demonstrate overall awareness of the industry, including blogs and eBooks that establish its credentials as a thought leader. Capabilities and Services — A good shop should explicitly detail its facilities, equipment, skills, and industrial capabilities, allowing customers to make an informed decision as to whether it is a good match to the client’s particular project. Ardel Engineering is fully ISO certified and ITAR registered, and offers comprehensive information about our past work and industry expertise to our prospective clients. On our website, we provide a complete view of previous projects and client testimonials, in addition to maintaining a thought-provoking blog with company news and information about the industry’s latest trends. You can download our certifications and registrations here. For further information about our capabilities or to receive a custom quote, contact us directly.